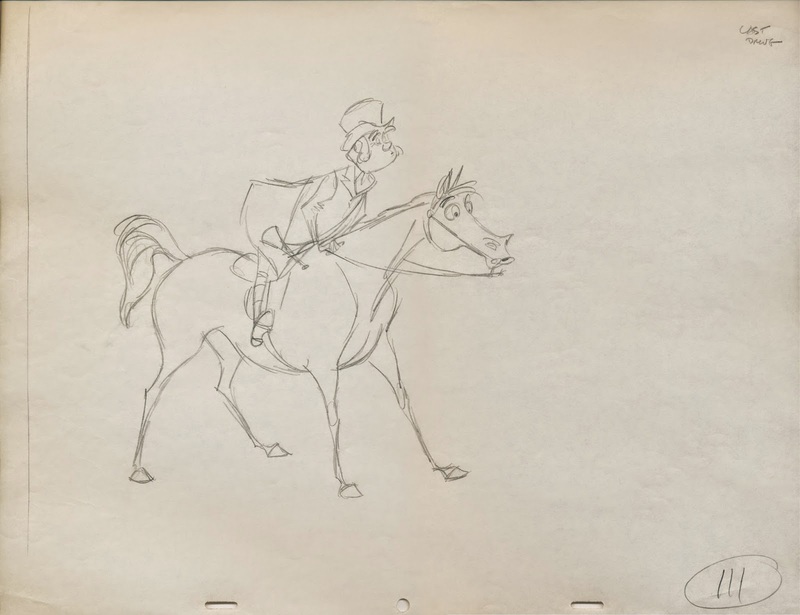 The huntsman blows his horn, and the pursuit begins for that scrawny, little fox in Disney's 1964 film Mary Poppins. 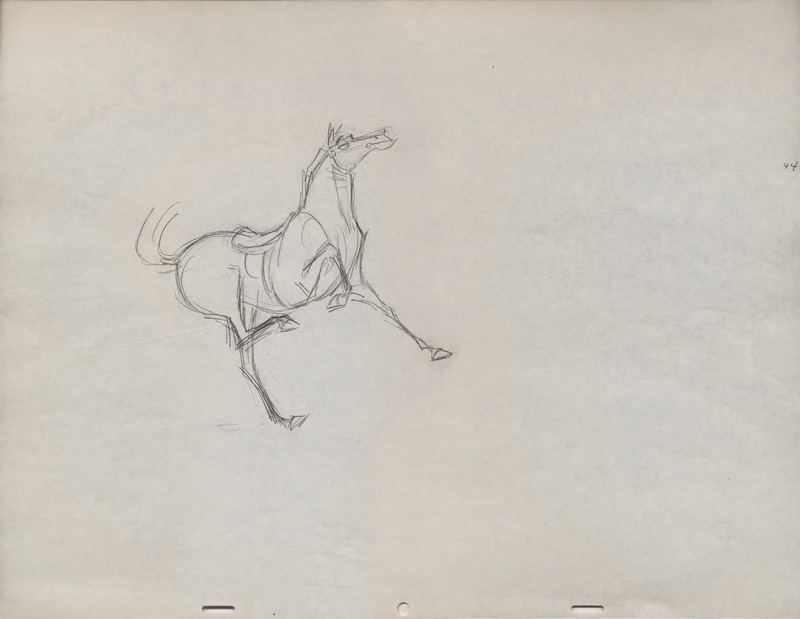 Milt Kahl animated key scenes for the fox hunt, he also came up with the final designs for the horses, riders and the fox. 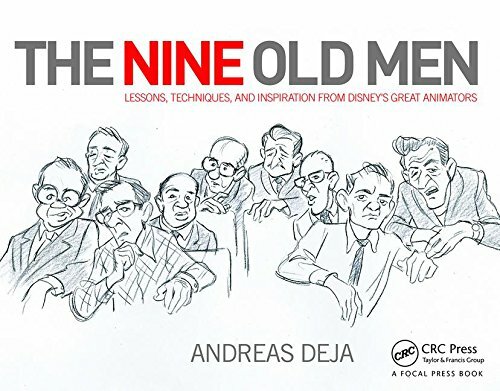 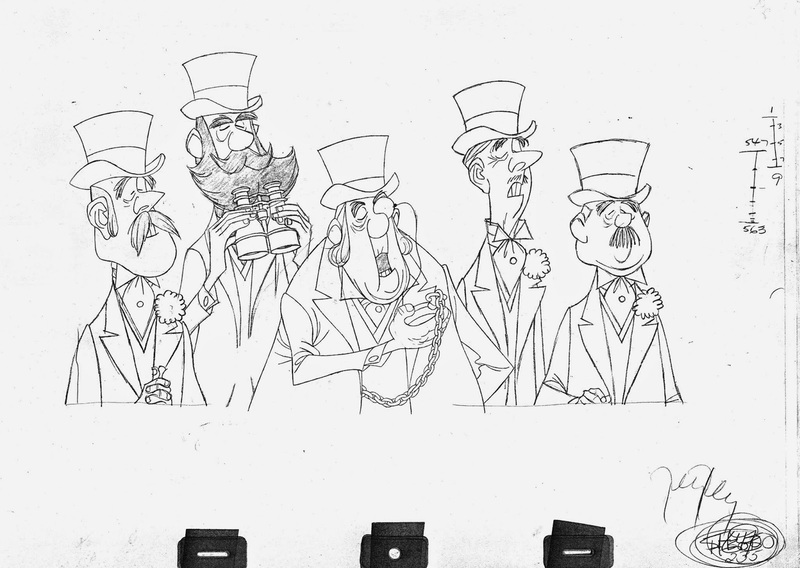 Brilliant character research, influenced by illustrator Ronald Searle. 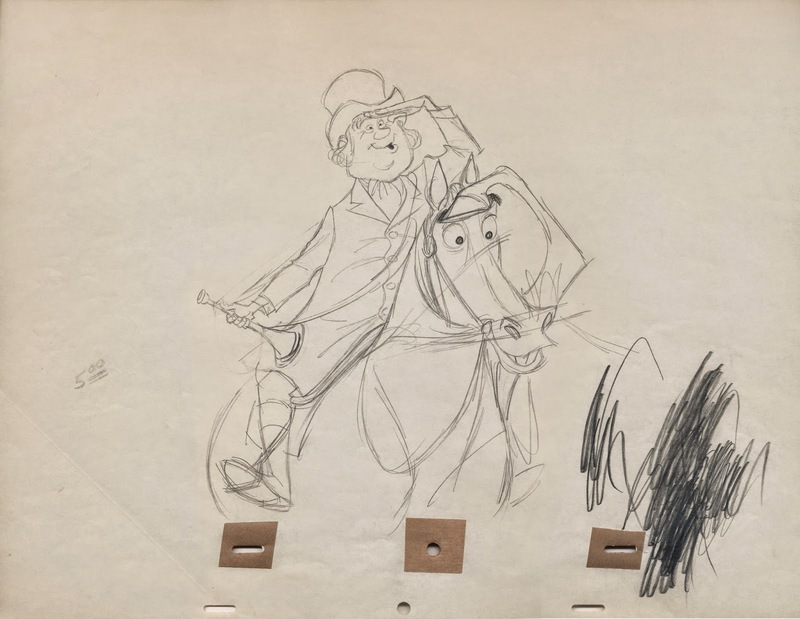 John Lounsbery animated the following two scenes beautifully, maintaining the design sensibilities in these Milt sketches. 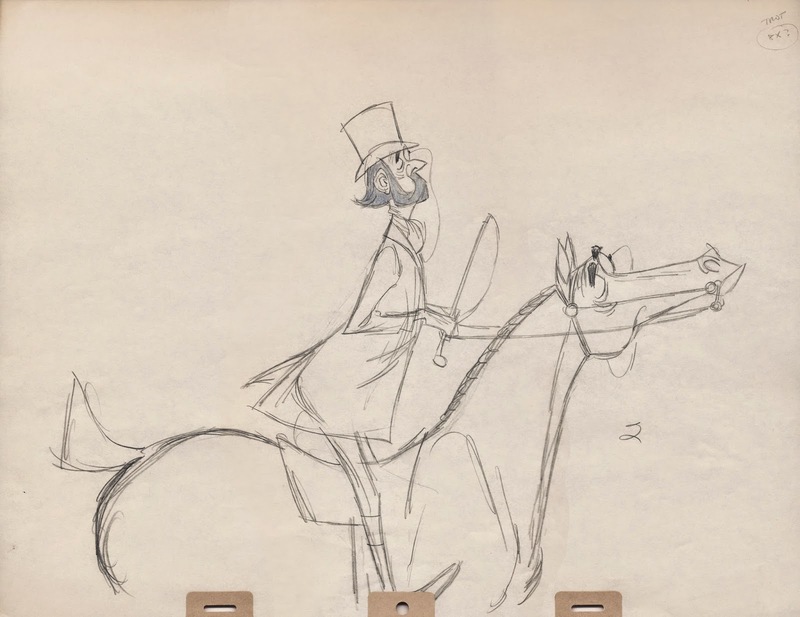 The final scene shows the horse with a monocle, just like the rider. 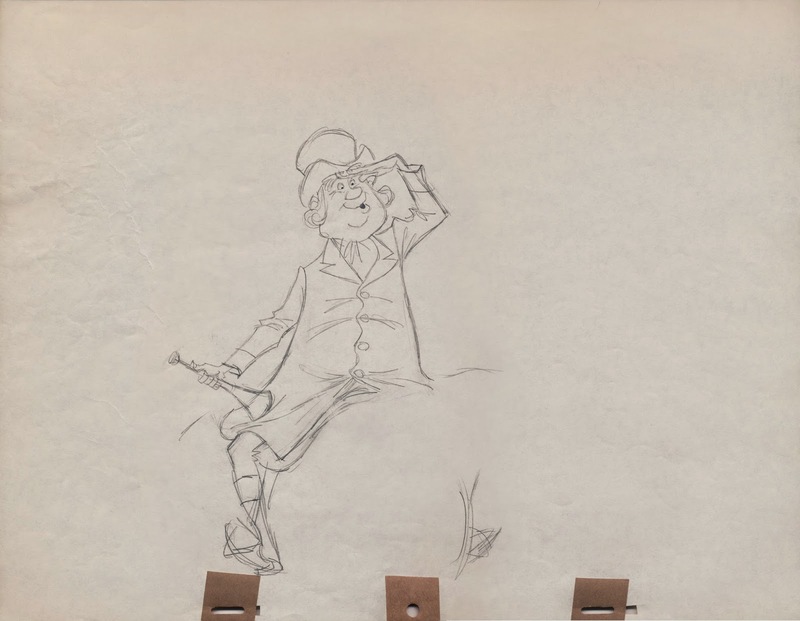 The idea goes back to the opening sequence from 101 Dalmatians, where dogs and their owners share a definite resemblance. 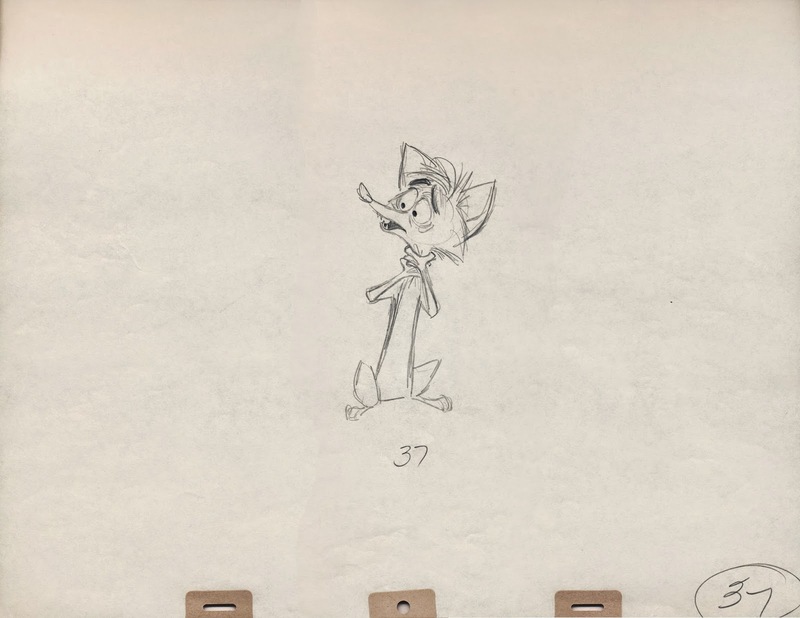 An original, but discarded ruff from one of Milt's scenes featuring the nervous, but spunky little fox. 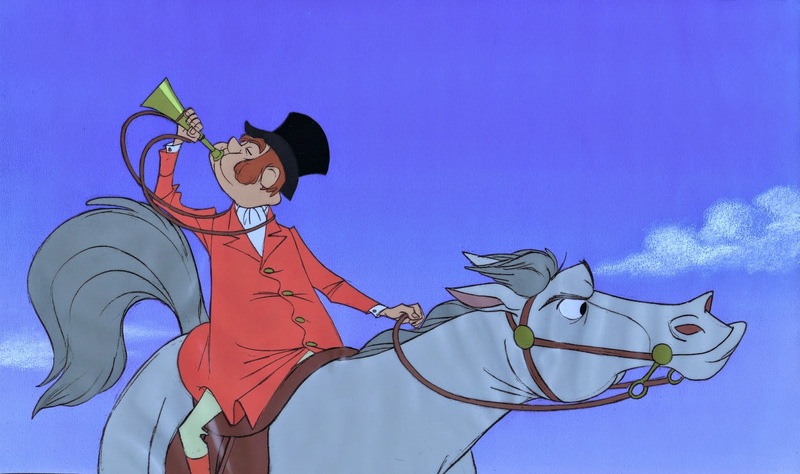 The welcoming committee at the races consists of a beautiful variety of stuffy seniors. 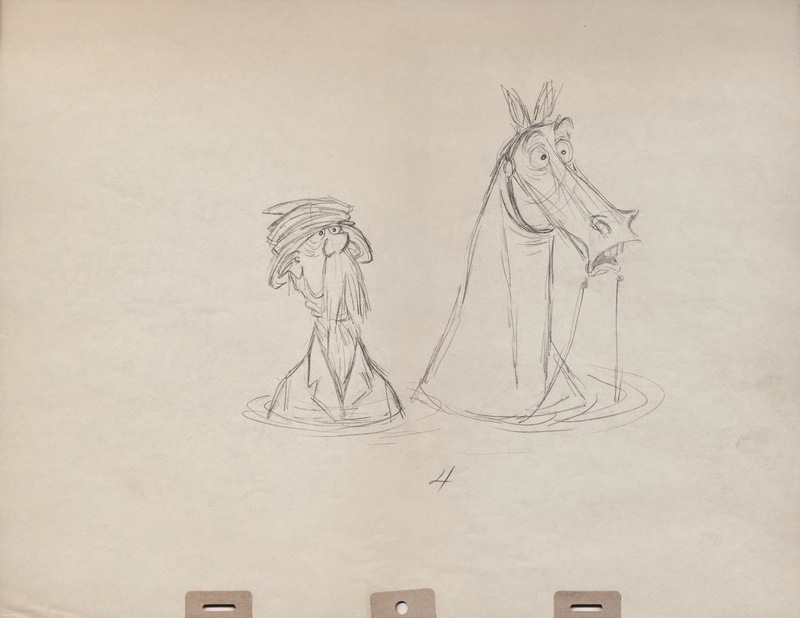 A Milt Kahl scene done very effectively with limited animation. 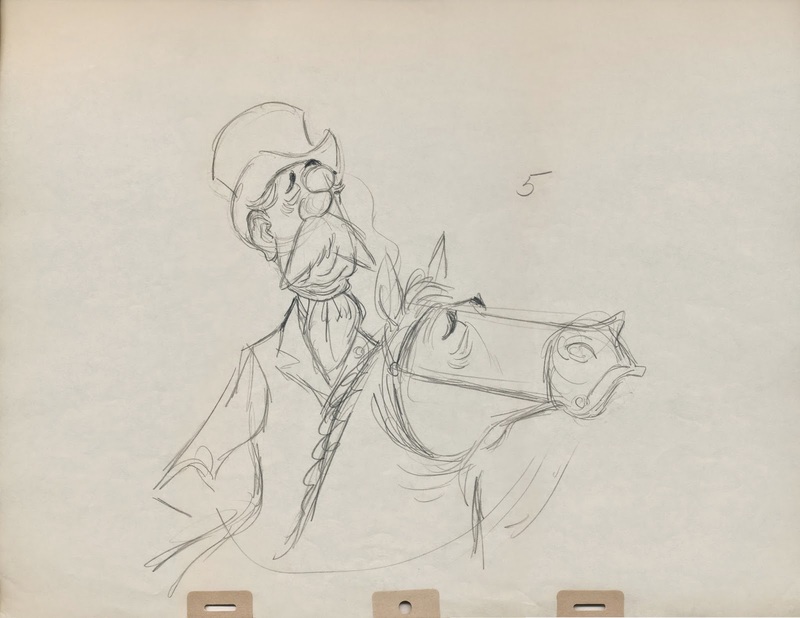 Thanks again to my friend Wil for offering scans of drawings from his collection!